iPhone 6 Plus- Perfect for fans of streaming videos and playing games, the iPhone 6 Plus has a magnificent 5.5 screen with a 1080 x 1920 resolution making it one of the largest smartphones on the market. Enjoy taking photographs with the 8 megapixel camera which comes with OIS to make those selfies crystal clear. With full HD, Apple Pay and Wi-Fi calling, the appealing software is ideal for any smartphone user. And to top it all off, the battery life is much longer than its predecessors. 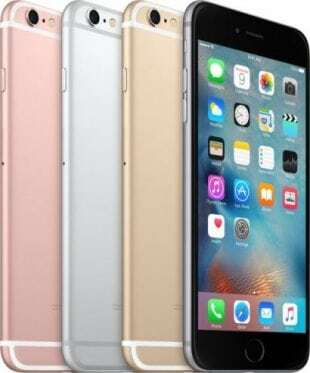 Get the iPhone 6 Plus with NO Credit Check NOW!